It's hard to believe, but we've just completed the fourth week of school year 2013-14! The students are hard at work, learning new skills in flag football, volleyball and rock climbing. The students have also been using their new personal iPods in the gymnasium, taking photos, videos, and screenshots of their fitness blasts and skill progression. 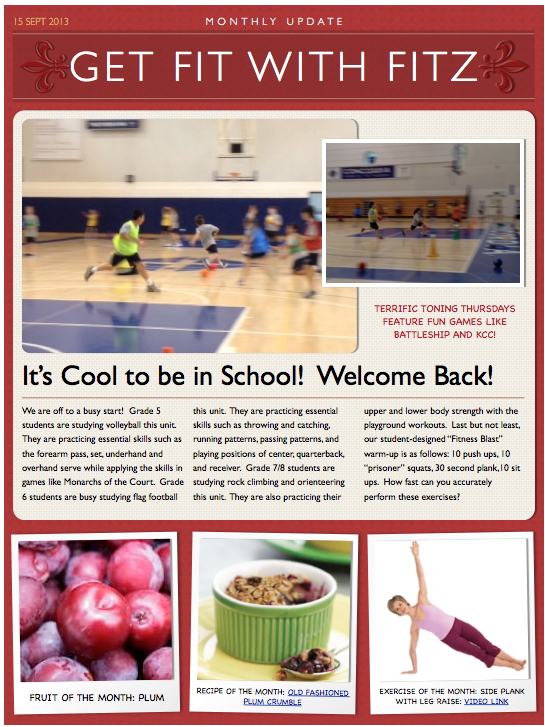 Here is the September issue of Get FIT with FITZ. Hope you all have a healthy and happy weekend!